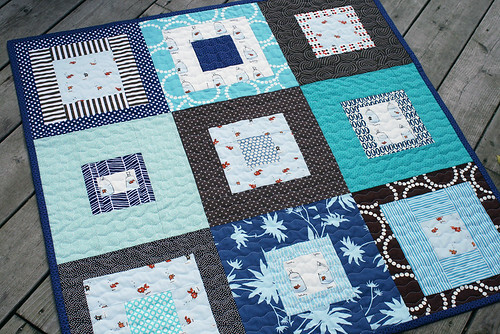 There are two types of quilts I just never get tired of making - squares in squares and quilts for children. 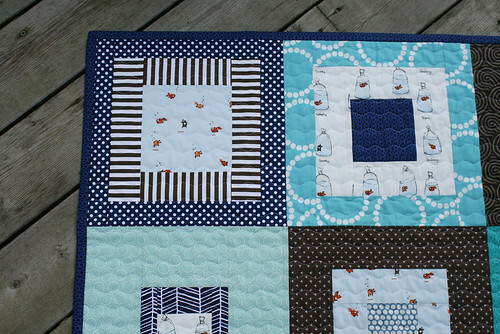 Last week a friend asked me to make a quilt for her to give as a gift for a baby shower. 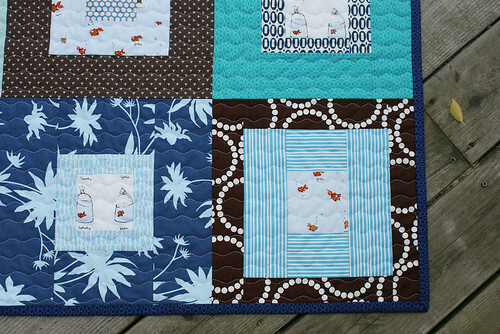 She picked the fabric color theme and I got free reign on the quilt design. 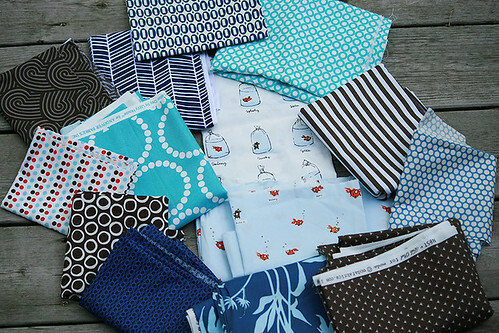 Each block has either two or three fabrics. They measure 12" x 12" each. 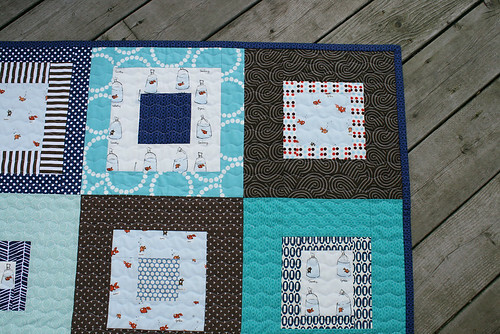 I decided to do more wavy quilting on this one...thought it was appropriate with the whole fish/water theme! Someone asked me how I did this type of quilting on the Mermaid pillow last week. I used the Running Stitch on my machine (Bernina 440QE stitch #4, looks like a zigzag) and maxed out the width and set the length to around 4. It created these lovely wavy lines. The final quilt measures 36" x 36". I think it's the perfect size for a playmat or draping over the baby on a walk or in the car. 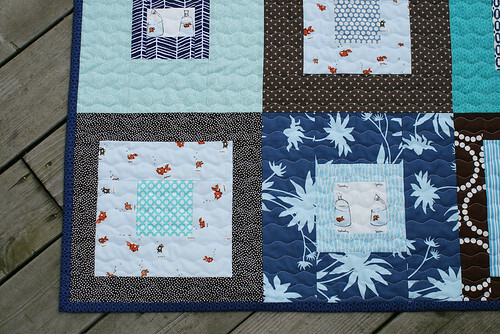 I pulled another set of fabric centered around Sarah Jane's Children at Play line and I made another little boy quilt from that for my shop. It's all quilted and waiting for binding - I hope to share that with you next week!